Northeastern Racetrack Drought is Officially Over! Tony with the Thompson Speedway pace car. New Hampshire Motor Speedway has been the only game in town for motorcycle track day riders and racers for many years. We New Englanders had to drive 6 or more hours to the New Jersey Motorsports Park in southern Jersey to ride another racetrack. But, that’s is changing. 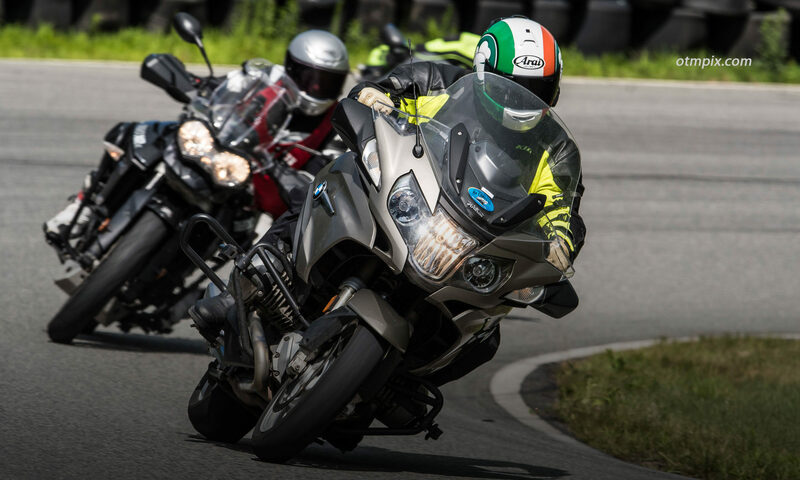 Last year, New York Safety Track (NYST) opened its doors, making motorcycle track days a reasonable drive for most of us Northeasterners. Now, we have Thompson Speedway building a road course within 2 hours of Boston, 3 hours from NYC, and an hour from Providence! If that isn’t enough, Palmer Motorsports Park is well underway in Palmer, MA. Tony and I have been talking with the owners about running track days there in 2015. Tony and I went to Thompson this past week to review the progress of construction. We met with Josh about the Tony’s Track Days 2014 schedule and with Louis about certain changes we wanted to have happen to ensure that motorcycles will be accommodated. Our list included barrier protection where a lot of runoff isn’t possible, redirecting path of travel to minimize risk when going under the bridge, as well as discussions about curbing, and runoff material. Louis and Josh listened carefully to our concerns, so we are confident that they will do the very best they can to make Thompson a safe as possible. The track itself is 1.7 miles long and combines very fast, sweeping sections, a loooong strait, and some very tight corners, some off camber. Tony and I have decided that we will run it in both the counter clockwise and clockwise directions, to expand the “number” of tracks we have available to us in New England. We also run NYST in both directions, so that alone can be thought of as 4 different tracks to ride! Take a look at the drive around we did last week. A beautiful new garage is being built next to a scoring/observation tower that will have a classroom and a pro shop. There is a golf country club connected tot he facility that will be serving lunches and dinners for track day customers. Camping will also be allowed.